Princess Elizabeth, as she was at the time, married dashing naval officer Lieutenant Philip Mountbatten at London's Westminster Abbey on Nov. 20, 1947, just two years after the end of World War Two, in a lavish ceremony attended by statesmen and royalty from around the world. 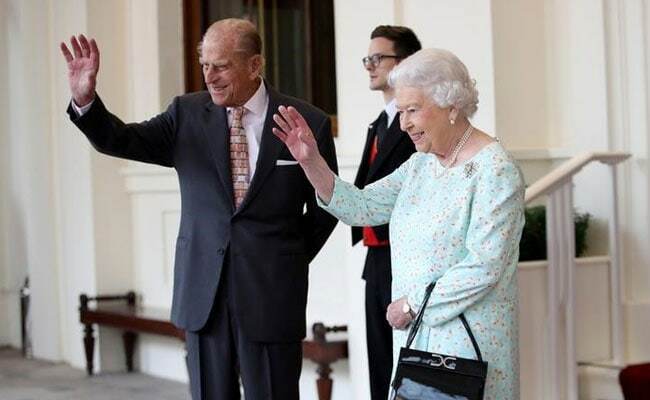 London: Britain's Queen Elizabeth will add another landmark to her record-breaking reign on Monday when she and Prince Philip celebrate their 70th wedding anniversary. Seventy years on, Elizabeth, 91, and her 96-year-old husband will mark their platinum anniversary with a small family party at Windsor Castle, the monarch's home to the west of London. A spokesman for Buckingham Palace said there would be no public event to mark the occasion. Greek-born Philip, a descendant of Elizabeth's great-great-grandmother Queen Victoria in his own right, has been at his wife's side throughout her 65-year reign, the longest in British history. He was the person who broke the news to her in 1952 that her father, George VI, had died and that she was now queen. "One of the secrets of this very, very long marriage, and it's an incredibly impressive anniversary, is the fact Prince Philip has always seen it as his main duty to support the queen, to help her in whatever way he can," royal historian Hugo Vickers told Reuters. "He is the only person who can actually tell the queen absolutely straight what he thinks, and if he thinks some idea is ridiculous he will say so in whatever language he chooses to use." The couple first met when they attended the wedding of Prince Philip's cousin, Princess Marina of Greece, to Elizabeth's uncle, the Duke of Kent, in 1934. Philip then gained the attention of his future wife when the then-13-year-old princess made a visit with her parents to Britain's Royal Naval College at Dartmouth in southern England where he was a cadet. "She was truly in love from the very beginning," the queen's cousin Margaret Rhodes, a life-long friend and one of her bridesmaids who died last year, wrote in her memoir. Their engagement was announced in July 1947 and they married four months later. With Britain still recovering from the war, the wedding offered a rare burst of colour and pageantry against an austere background of rationing and shortages. The 21-year-old princess, who wore an ivory silk Norman Hartnell gown decorated with 10,000 seed pearls, had to collect coupons for her dress like other post-war brides and the couple spent their honeymoon in southern England and Scotland. While some two billion people were estimated to have watched the couple's grandson Prince William marry his wife Kate in 2011, their own wedding was only broadcast live to some 200 million radio listeners, although highlights of the day were captured on grainy black and white film footage. "I can see that you are sublimely happy with Philip which is right, but don't forget us is the wish of your ever loving & devoted Papa," King George wrote to his daughter after the wedding. While royal watchers say Elizabeth and Philip have had their ups and downs like any married couple, they have avoided the travails of three of their four children whose marriages have ended in divorce, most notably heir Prince Charles's ill-fated union with his late first wife Princess Diana. It was at the couple's 50th wedding anniversary in 1997 that the queen paid a rare personal tribute to her husband. "He has, quite simply, been my strength and stay all these years," Elizabeth said. No other British monarch has celebrated such a landmark, and indeed Elizabeth was the first to mark a diamond wedding anniversary in 2007. Philip, who has suffered health issues in recent years and was hospitalised in June, retired from active public life in August. They both attended a memorial service on Remembrance Sunday on Nov. 12, although a royal source said the monarch had decided not to lay a wreath so she could watch from a nearby balcony alongside her husband. "Without Prince Philip the queen would have had a very tough and lonely life. He's been a complete support to her, a rock to her, from the moment she was on the throne," royal biographer Claudia Joseph told Reuters.